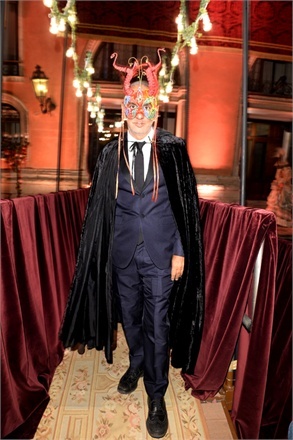 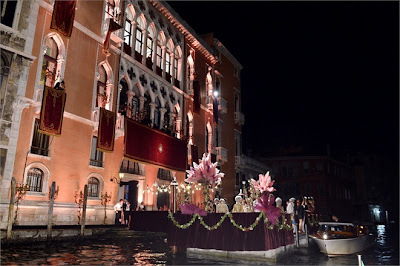 Four hundred guests arrived by gondola to a masquerade ball really unique: each of them received a mask branded Dolce & Gabbana and inspired by Venice and its traditions. This was the opening words of the evening which was celebrated as part of the new haute couture collection, Dolce & Gabbana, held Saturday, July 6 at the historic Palazzo Pisani Moretta in Venice, inside of which were recreated the historic setting of the famous Harry's bar Cipriani. Opening the soirée were historical dances of the tradition, including the waltz, polka and quadrille; finished the historic dance, started the party with a more classic DJ sets.